With price of gas constantly increasing, many drivers are trying to find ways to help their gas tanks stay above empty for as long as possible. 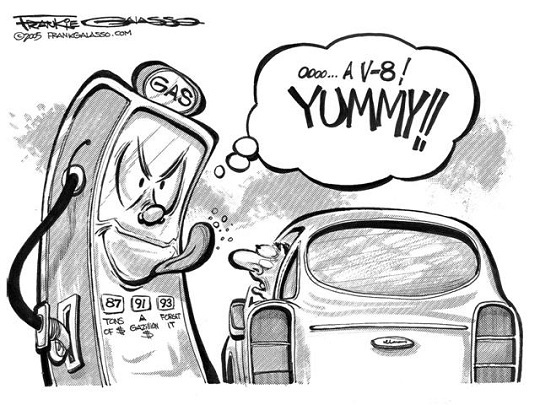 Your vehicle knowledge and driving habits will be the main factors in determining how decent the fuel economy will be. 1. Be Smart, Buy for your Lifestyle – Keep in mind that a vehicle’s weight, power, and displacement (4, 6, or 8 cylinders) will be a big influence on its fuel consumption. If you’re not hauling a whole football team around town or don’t have a trailer to tow, then don’t buy a large, gas-guzzling SUV. 2. Choose the Right Transmission - As a general rule, a manual transmission is about 5-10% more fuel-efficient than an automatic, assuming you shift properly. For a typical driver, proper use of a manual transmission can save at least 100 liters of fuel annually. With an automatic transmission the vehicle becomes more fuel-efficient with a greater number of gears (for example 6 vs 4). This is because the extra gears are better able to keep the engine running at or near its most efficient level. 3. Be Careful of the Add-On Options - Using a remote starter allows for unnecessary idling, which wastes fuel and increases greenhouse gas emissions. A roofrack (loaded or not) increases aerodynamic drag, putting extra strain on fuel-efficiency. 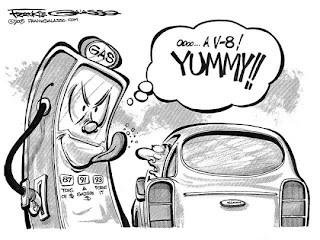 Additionally, the more available options you choose can weigh down your vehicle and make it use more fuel. 4. Fuel-Efficient Options - There are a few add-on options you can choose to help your vehicle in fuel economy. Some of these options are lightweight aluminum wheels, cruise control, and trip computers, which can simply help you understand how much fuel you use. 1. Keeping Maintenance Up-To-Date – Becoming familiar with your vehicle’s maintenance schedule and having the necessary work and repairs performed can help maximize your fuel economy. 2. Adopt Good Driving Habits – Implementing good driving habits, such as avoiding hard and fast accelerations, using cruise control, and shutting the engine off while waiting on someone, can really make a difference in the long run.